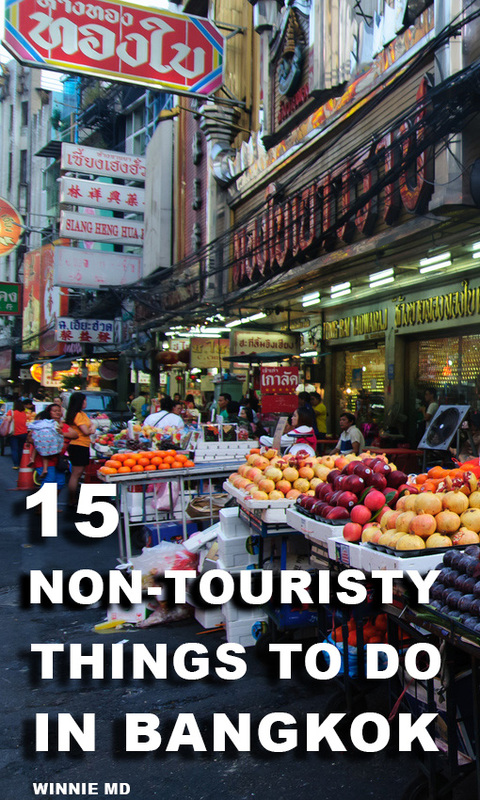 Bangkok is consistently one of the most visited cities in the world, and for good reason. 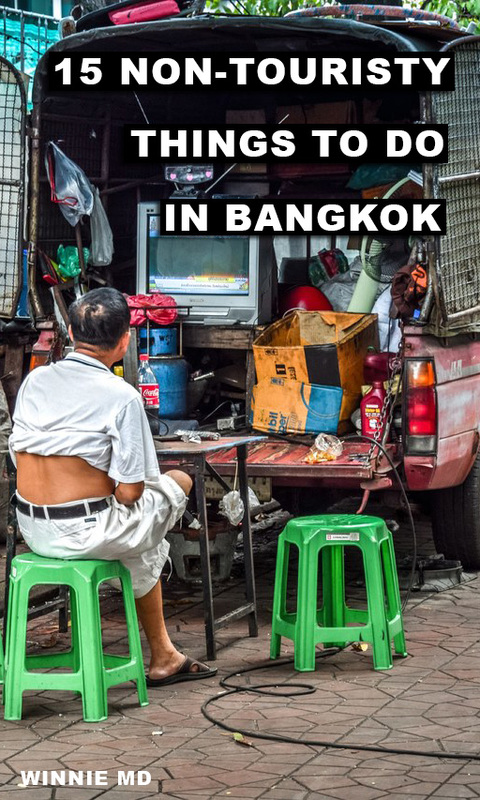 Bangkok is the capital of Thailand, which means it has the perfect balance of modern comforts and exotic Asian thrills. 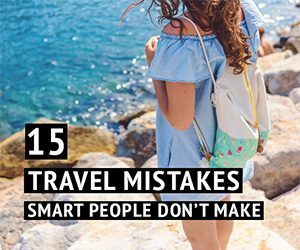 You get backpackers travelling on a boot string all the way to luxury travellers living the Crazy Rich Asian life, and everything in between. 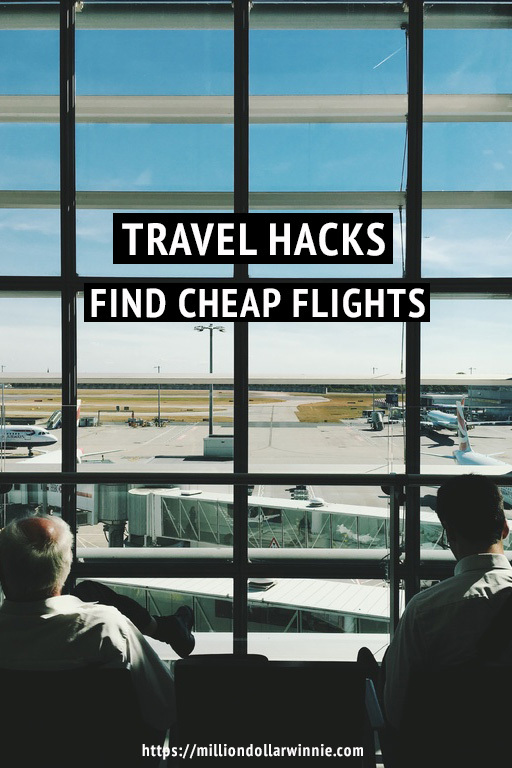 But everyone knows to visit the Grand Palace, walk along Khaosan road and shop at Chatuchak market. 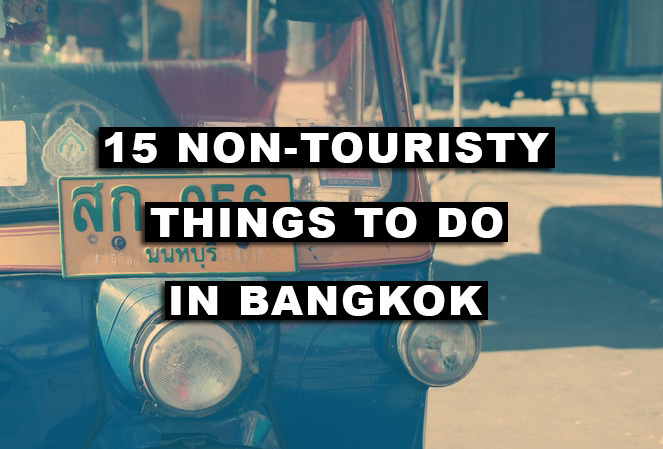 If you’ve already been to all these places then you need to keep reading to discover these 15 non-touristy things to do in Bangkok. This is a huge 49 storey abandoned tower that is hard to miss once you get onto the streets from BTS Saphan Taksin station. A massive project that went bankrupt from the 2008 financial crisis the tower sits in the middle of the city. It’s 80% complete making it too expensive to take down and so it’s been sitting for over a decade as an eyesore in the heart of the city. In the early years, many adventure travellers would climb the tower for an adrenaline rush, but there are security guards now in place after several murders and suicides have been found in the building. The locals say the building is haunted…for obvious reasons. Though, some people say the security guards can be paid a small fee if you really want to climb the building for a truly unique experience in Bangkok. I hear the views are awesome! Take the BTS skytrain and get off at Saphan Taksin Station then you’ll see it along Charoen Krung road. Amulets are a common part of Thai culture where Thai Buddhist faith often overlaps with a lot of Hindu and traditional belief systems. Mostly worn by men who have dangerous jobs amulets are not just for protection in Thai culture. They can be for anything and the amulet itself can be anything as well. From wealth to protection and everything in between such as better friendships. There’s an amulet for it all. And the place to find your amulet has to the be the amulet market located at Tha Phrachan Amulet market. Stalls upon stalls filled with various shapes and size of different amulets. Some blessed by monks, some incasing parts of scrolls, scriptures, incenses ash etc. You’ll find it here. It’s an interesting way to spend an hour or two looking at locals trying to find a suitable amulet for themselves. 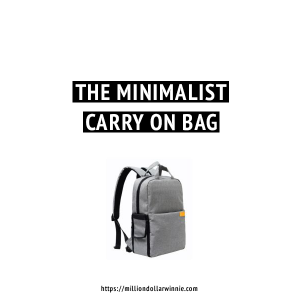 You can even buy one for yourself. The easiest way to get there is by getting off BTS Saphan Taksin station and then taking the Chao Praya express boat to Tha Chang pier. Its an easy 5 minute walk from the pier. A gorgeous “villa” created by the royal family, made entirely out of golden teak. In fact, it’s the world’s largest building to be made entirely out of golden teak. The mansion was left unused soon after the completion of the build and so now it’s a museum for the royal family. Note there is a strict dress code, so make sure no knees or shoulders are showing, or anything too low cut. The easiest way is to get off at Tewet pier and grab a tuk tuk to the place or you can grab a taxi from Phayathai BTS skytrain station. Though the tuk tuk ride will be cheaper if you know how to haggle and it’s a shorter trip as well. Eating out is common for locals. Buying dinner after work was something I observed almost everyday when I was there. Office workers holding multiple small plastic bags of street vendor food back home, and so I decided to copy them to see what the fuss was all about. I bought a bit of this and a bit of that and pointed and smiled then brought my feast back to my hotel room to enjoy in comfort. It was delicious and it’s stuff you don’t normally see at street stall vendors where there’s seats and tables. I had satay sticks, friend chicken, salads and sticky rice. I was staying near Chong Nonsi BTS station, which is the CBD area and the streets near the station would be filled with street vendors selling their food at around 5 pm onwards. This is on the list because it’s just so unique compared to the rest of the city. The many neon lights on the main road of Yaowarat. The main road also leads to many smaller streets. Every single one is filled with food, traditional Chinese businesses and temples. It’s also a personal thing I like to do, because I’m always curious as to the different paths oversea Chinese communities have taken in each country they settle in. From San Fransisco to Bangkok, every Chinatown is different. And if you’re a history buff then you have to start at Chinatown because modern Bangkok originates from this area. The nearest mass transport system is the Hualamphong Metro station, walk a mere 3 – 5 minutes to Yaowarat road to being your 1km of sensory adventure. But you can also get their by boat if you get off at Ratchawong pier and walk your way to Yaowarat. Ari is a neighbourhood that’s conveniently accessible by the BTS station “Ari”. It’s an up and coming neighbourhood with a lot of character and style. If you read my 15 non-touristy things to do in Sydney then you’ll know I fell in love with Newtown, well Ari did the same thing for me. I admit, it is very “hipster”, with its many dessert spots and cool cafes. But the area chimes on a different pace compared to the rest of Bangkok. Less chaotic and more tranquil. It just feels so relaxing walking along the streets there and that’s something I really enjoy. Explore the area and be prepared to eat lots because there’s many eating spots. Get off at BTS Ari station and just walk and explore the nearby streets and roads. Simply a treasure in the heart of Bangkok, Bang Krachao is referred to as the green lungs of Bangkok. It’s a romantic hotspot for local couples to go cycling on the weekends and a favourite resting place for the expat community. Go during the week to avoid the weekend crowd and you can rent bikes for as low as 100 bhat a day to explore this tranquil island in the Chao Phraya River. Find bike paths that lead into untouched forrest and see the wildlife, or bike along the main roads and see a slice of life with the stores and temples. If you do go for a relaxing day of cycling and exploring then you must find this hidden gem of a restaurant; The Bangkok Tree house. Make your way to Klong Toei pier and grab a boat ride for 10 baht to the island. But real floating markets do still exist if you know where to go. One of them is the Khlong Lat Mayom floating market, a popular weekend go to place for local Bangkok residence to eat great food and get out of the city centre. It’s not as big as some other floating markets, but at least you’ll be getting an authentic experience. The best way to get to the market is by car because it is outside the city area so my best advice is to pre-book a driver that can take you there and bring you back to the city. This one is a novel one. Wat Pariwat isn’t a famous temple to visit in Bangkok, its rather inconspicuous, but it’s on this list because of rather odd fixture in its decor. Find a figure of David Beckham when he was still a young footballer playing for Manchester United at one of the back corner columns in the temple! Or a Pikachu, batman, Obama taking a selfie…and the list goes on. The walls are full of these hidden gems that, in my personal opinion make this temple the best in the city. I am going to say this as respectively as possible, but temples tend to get boring after you visit a few, because they all start looking the same. Wat Pariwat is a breath of fresh air and it might make you linger at the temple long enough to actually learn some Buddhist teachings. Thailand has a thing for markets located in weird areas. Obviously not something they did on purpose and just a natural occurrence due to urban development overlapping with existing ways of life. 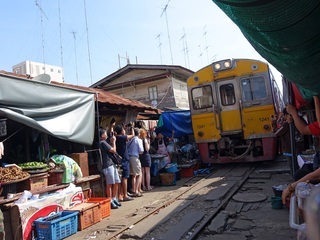 And one of these overlaps occur as the Maeklong Railway market. Admittedly this is a popular spot for travellers, but it’s definitely far from touristy. Locals visit the market every day to buy their daily groceries and local vendors pull their wares on and off the railway tracks several times a day. This is a slice of local life for people living in the area. 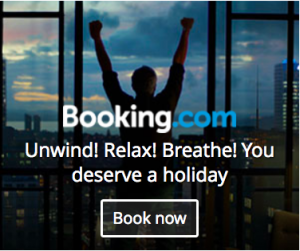 It’s located about 1 hour outside of Bangkok, which is an easy trip to make for even the tightest schedules. Another day trip outside the city. 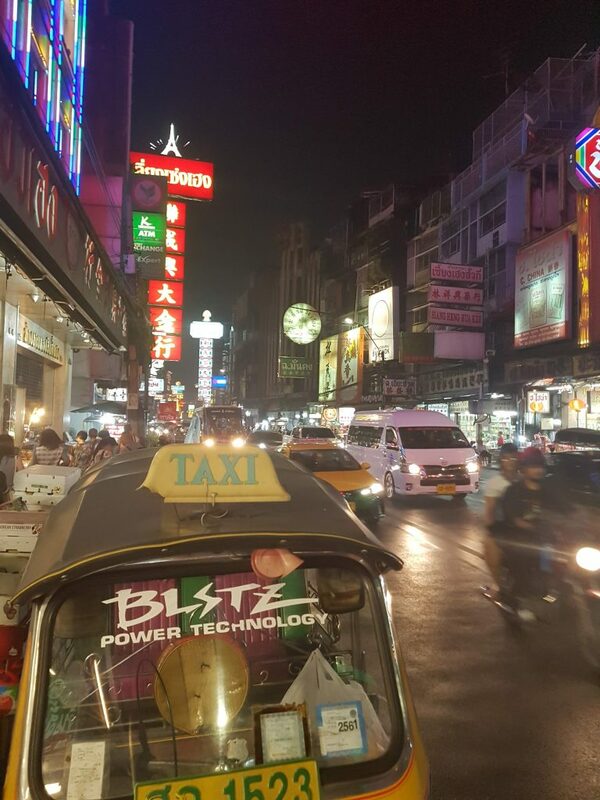 The easiest way to get there is to simply hire a driver to take you there and back, stress free, air-conditioned and you’re in Thailand so it’s not going to break the bank either way. But apparently you can get there by bus from the city. Pak Klong Talad is the biggest flower market in Thailand. Flowers are a big part of many cultures, but for Thais its an essential part of temple visits with flowers being a common offering. So when I say this is the biggest flower market in the capital of Thailand, well it’s really massive! A perfect trip for anyone needing beautiful photography opportunities. The flower are also really cheap, so cheap you might just want to buy some to place in your accommodation. Take the Chao Praya Express river boats to Pak Klong Talad pier. Axe throwing is a novel sport from Canada, but it’s made its way to Bangkok and I don’t really know how common it is to throw an axe as a sport, but it’s actually the first time I’ve personally witnessed it so it’s going on the list! Grab a craft beer and throw an actual axe at a rustic wooden target board. Alcohol and sharp heavy metal, what could ever go wrong. Long 1919 is a museum exhibiting the history of early Chinese merchant families in a renovated Chinese three walled courtyard mansion. The museum is located on the banks of Chao Phraya River, and is privately ran by the famous Wanglee family who bought it in 1919 (hence the name Lhong 1919), a Chinese merchant family that spans 5 generations in Thailand. It’s a cool place to visit because they’ve kept the original structures, buildings and styles but still brought it into modern Bangkok with its craft stores, open sitting areas and restaurants. Be sure to visit the Mazu shrine, Mazu is a traditional Chinese goddess from south eastern parts of China, that grants save passage for water travel. Grab a boat ride from Sathorn pier to Lhong 1919. There’s blue boats and orange boats. Take the orange one if you can because they’re cheaper than the blue ones. The Chinese have been present in the Chao Phraya River area since 1700’s and they consisted mostly of poor refugees that turned merchants who brought a lot of economic activity and prosperity to the nearby Thai locals. As a result, King Rama I located them to Talad Noi in 1782 to connect the economic activity to the rest of Bangkok. Over history, many more kings will grant land to several Chinese merchant families, giving them power and wealth. As a result, 200 years on, Talad Noi is still strong in it’s traditional Chinese history. Find a network of alleyways filled with old shops and streets lined with old relics. Chinese temples with traditional murals and old Chinese mansions. This is a genuine hidden gem because there is so much to see here but is rarely visited by tourists. If you do go explore this neighbourhood then make sure you visit Sol Heng Tai mansion. It looks unimpressive on the outside but an absolute oasis inside, where it’s now a cool scuba-diving pool! It’s the oldest Chinese courtyard in the country, home to the actual descendants of the original Hokkien merchant who built it! Easiest way to get to Talad Noi is to get to Marine Dept pier or get off at Hualamphong Metro station and grab a tuk tuk to the neighbourhood. To get to Sol Heng Tai mansion, you’ll want to find Sol Wanit 2, it’s a main road that also leads off to the side towards the river side. This place is definitely going on the list because it’s an entire department store stuck in time. Located near the oldest part of Bangkok City, Chinatown, this department store is like a time capsule back in the 60’s. How this building is still open and operating, I have no idea, but visiting this place is great for anyone like me who enjoys looking through random items. I hope it sticks around but something tells me this item on my list is a time limited attraction. Nightingale Olympic is at the very far end of Chinatown, located at Tri Phet road. If walking the whole length of Yaowarat seems too daunting then hop on to an empty tuk tuk when you’re done exploring Chinatown.